Airbnb has had massive success by being extremely customer-focused. Despite naysayers, they’ve successfully built a huge business around a community marketplace for people to rent out their homes. People love it, and the company is always trying to figure out how to better help these customers. Last July, Airbnb made a huge decision: to start providing 24/7 support on both email and phone. As soon as possible. The first step was looking at how much they’d have to increase their staff. Airbnb dug into their data to figure out when the customer service rushes were, and why. They planned staffing around those rushes and – when possible – adjusted their own system to avoid generating customer service situations in huge batches. The next challenge was hiring. Jessica says that they hired around 31 people in a one month time period. “Luckily, we have a strong culture and we managed to quickly suss out who was going to be a fit.” They flew all the new hires to Airbnb HQ and trained 20 people at once. Thankfully, they had pre-developed training materials that covered everything except their new phone support system and processes, and an experienced training manager, Jessi Whitby. International locales have been both a challenge and an opportunity, as much of Airbnb’s activity happens abroad. Helping distant customer service agents feel part of the team was a challenge that was addressed with the creation of international offices. And having local agents provided the opportunity for these natives to relate to their cultural brethren and pass tips on to tourists who needed advice along with their lodging (something that can only happen with empowered customer service representatives). Your product deals with anything extremely time-sensitive. Finding your Airbnb location or getting inside is very time-sensitive. Posting a photo to a social networking site? Less so. You have many customers who aren’t in your time zone(s). There are real-life risks involved. You have customers using your product heavily 24/7. If not, consider providing an urgent line. It’ll result in more 2am wake-ups, but it means you don’t have to staff a full 24/7. Service a core competency for you. For a big oil company, it’s probably not…they’re a supply/demand business. 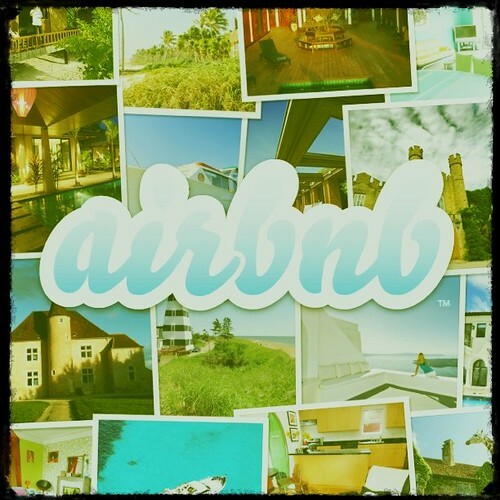 For Airbnb, service is key or people will go back to the familiarity of dealing with hotels. Airbnb photo courtesy of davidrdesign. Sticky note photo courtesy of Roger Penguino.